All Grain Strong Bitter homebrew recipe. 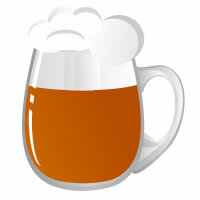 This homebrew recipe uses the following ingredients: Maris Otter Pale - UK, Golden Ale, Biscuit Malt - BE, Carapils - DE, CaraAroma - DE, Fuggles Hops, Fermentis Safale S-04 Homebrew Yeast. Muito forte de café e cookie! Pode cortar o caraaroma e o cookie pra metade!